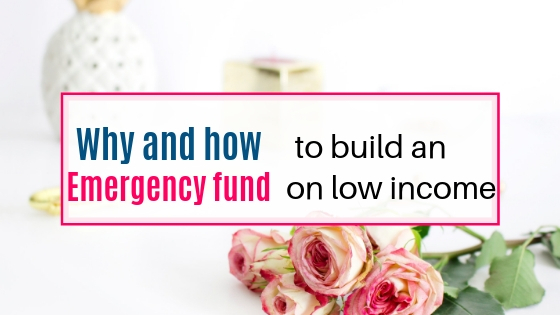 Why and how to build an emergency fund on low income. Why you need an emergency fund ? 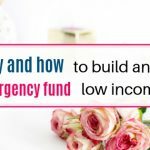 How to build an emergency fund on low income ? are important. As with everything else in your life, WHY should be clear to you then HOW becomes easy. Disclaimer: This post may contain affiliate links which means if you click the link and sign up, I may get compensated with no extra cost to you. For full disclosure, read here. I really never thought of Emergency fund a few years ago. But as soon as I came to know about emergency fund, I started building up. Every dollar and every penny I get from my side hustles, I put it into my emergency fund. And I am happy that I did it while not working on any traditional job. There is always a debate whether you should tackle your debt first or you should start building your saving account. It really depends on the type of debt you have. I am personally averse to credit card debt and I never had this kind of debt. But I have seen many of my friends who have loads of credit card debts and whenever we talk about emergency fund or savings, they start whining about their bad debt. My situation in this case is bit different. I think you should start tackling debt as well as build savings simultaneously. Making goal for everything is important. Squeeze small amounts of money and build your emergency fund with that amount. I have become so conservative regarding money that I am saving each and every dollar I get. We are living on one income. But if required, I can support my family for two months with emergency fund. It also depends what kind of situation you are in. For us we only have car loan and home loan. We don’t have credit card debt and any personal loans. So it is easy to figure out the way how to save for emergency fund. Before saving for emergency fund, start tackling your bad debt. It means the credit card debt is essential to eliminate before doing anything else. I started creating an emergency fund when I felt the need to do it. The one thing that stroked my mind was that you cannot always be able to make money. Job may get lost. There may be some medical emergency. There is social security today but it may not be present tomorrow. There are so many reasons to build your emergency fund. Now is the time to start building it up and making it a habit of keeping growing. If you can save $25 every week, you will have 1400 dollars at the end of year. So let us start building it from today. There are so many theories around how much you should have in emergency fund and how much debt you should pay before building any savings. It is a good idea to have a look on all those theories and carve out a solution for your own self. If you can take help of a financial planner, go for it. Or start your savings by finding out a solution for your own situation. 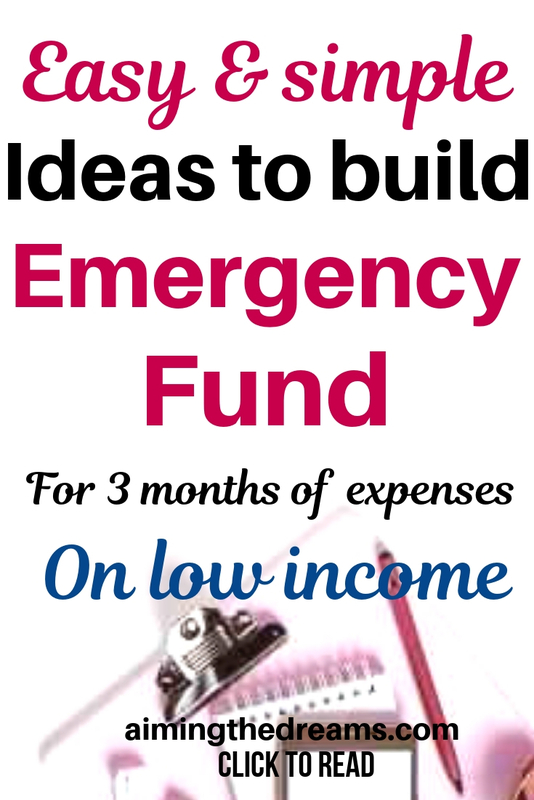 If you are on tight budget, it will take some time to build your emergency fund. But taking your first step is crucial for any kind of success. Make this week your first week of adding to your emergency fund. Most important part of building your emergency fund is making a goal depending on how much you will need for at-least 3 months of your income. Say you need 3000 dollars a month for your household income. And you will need atleast 9000 dollars to support your family for 3 months. Now your goals is to save 9000 dollars for emergency fund. If you want to save this amount in 5 years. This is what my goal is. You will need to save $1800 in your account every year. This is what you will need after all the expenses. This comes out to be nearly $35 (rounded off ) every week. Now you will need to figure out how you will save this much money in your account. There are many survey companies which you can use to earn some extra cash. You will not become rich but it is really possible to build emergency fund from the money you get. I have done it and I really appreciate myself for this. I have not reached my goal yet but very close to it. All I have done it is whatever I earn from these surveys, I save it into emergency fund. And my emergency fund is building fast. Groceries are a big expense and it is really possible to save money from your grocery shopping. Reduce the usage of pre- packaged food. Try to cook from scratch. After making a budget, have a look where you can save money. Say if your weekly budget is $100, allocate $95 every week from this week. And immediately increase your emergency fund allocation for every week. You may be able to save around 5 dollars even if you are having a very tight budget on grocery every week. If you love outing every week and have an allocated budget for your outings. Reduce the outings and save that allocated amount into your emergency fund. Do it every week and you will have some money for adding to your saving account. Some of the expenses are necessary which you cannot miss. But you can freeze some of the expenses and and can put that money into your emergency fund. It is not easy to go for one month without spending and you will need milk and other perishable foods. Save the money you will save for not spending any money. If you can find things lying in your home but you are not using them, sell them. Because they are depreciating in value. But the money you will get from these can be used to bolster your emergency fund. If you find too tight on budget, try to start a side hustle which can give you enough money to put into your savings. It is not difficult. People are doing it with their full time jobs and some of them have made it their full time side business. If you can change your habits and reduce the amount of alcohol and smoke, you will be able to save a good amount of money. Don’t worry, you will be more healthy in the long run. In addition to having a healthy savings in your emergency fund. There are so many ways to build an emergency fund. The only thing you need is to find out the ways to do it. Also, keep your emergency fund in easily accessible savings account. Because emergencies arise without any warnings. 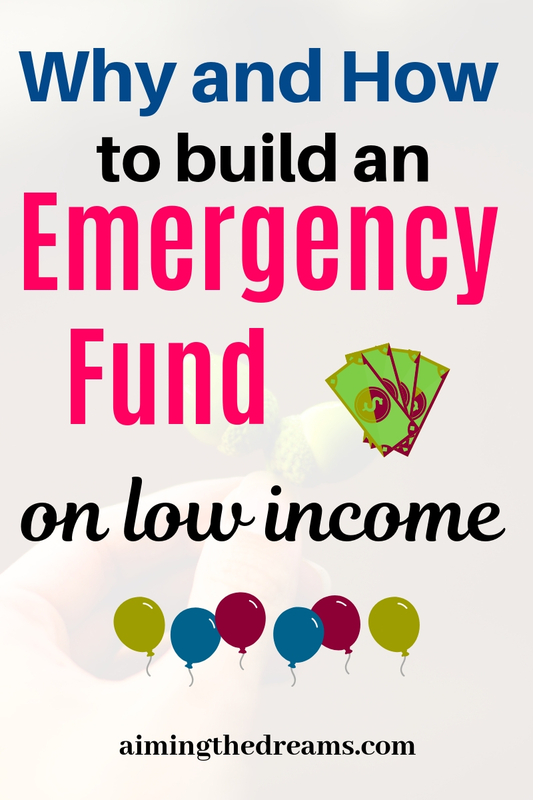 Build your emergency fund. It is easy and you can do it. Please share this post if you like it. I hope it will help you find ways and inspiration to build your emergency fund if you are like me ( tight on budget).